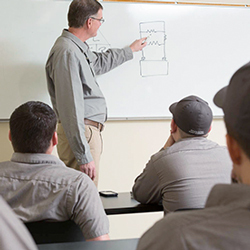 Welcome to The Exchange – a series of free educational workshops, seminars, and presentations to help you understand your HVAC system, ensure optimum performance, and maximize return on investment. Heating and cooling technologies are evolving, with more options than ever to create an energy-efficient, comfortable environment. 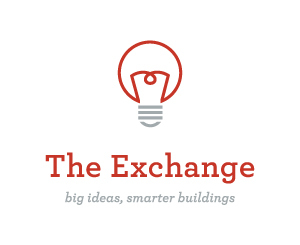 We started The Exchange to provide you with ongoing information on the best practices in property and facilities management – strategies that will help save money, reduce energy consumption, and create a competitive edge. The Exchange was named for our goal of facilitating the constant exchange of new and innovative ideas, as well as the exchange of hot and cold air in your HVAC system. The program is designed to help property managers, facility managers, property owners, and contractors leverage these options to make more informed decisions about their buildings. Watch for our next Exchange event! In May, the Energy Trust of Oregon joined us to discuss how to evaluate the energy savings for your building(s), identify opportunities within your portfolio, and leverage Trade Allies and ETO program offerings for improved ROI. On April 19, 2016, Reitmeier HVAC professionals Adam Tucker, Devon Brown, and Michael Taal lead an in-depth discussion around why HVAC maintenance is essential for building performance – including a maintenance demonstration on a working HVAC unit. At Reitmeier, we live our core value, Leading the Way, in everything we do. This commitment includes keeping our clients and business partners ahead of the latest trends in building tools, applications, codes, and standards. The Exchange’s primary goal is to help you make smart, long-range decisions that balance cost, risk, and profit for the most effective results. We want to make this a valuable resource for our clients, partners, and friends. If you’d like to learn more about a specific topic, please let us know by submitting your suggestions below. We’re constantly adding new topics to our calendar, so be sure to check back for more events!